What awaits humans in this realm where urbanisation reconciles with nature is a sanctuary of fortitude and comfort – in the mighty king of the trees, the Secoya. The mighty Secoya is a welcoming monarch, inviting not just worthy men, but their loved ones too to share and thrive in the protection of the king of trees. Regularly scheduled patrols by our professional security guards will be always on high alert for any dangers. 24 hour CCTV surveillance will ensure that the building premises are on a look out at all times to prevent potential dangers. The 3 tier security system is a strong defense against unwanted intruders. Residents and visitors alike are required to abide to strict regulations to enter the building. We bring nature to those busy individuals. 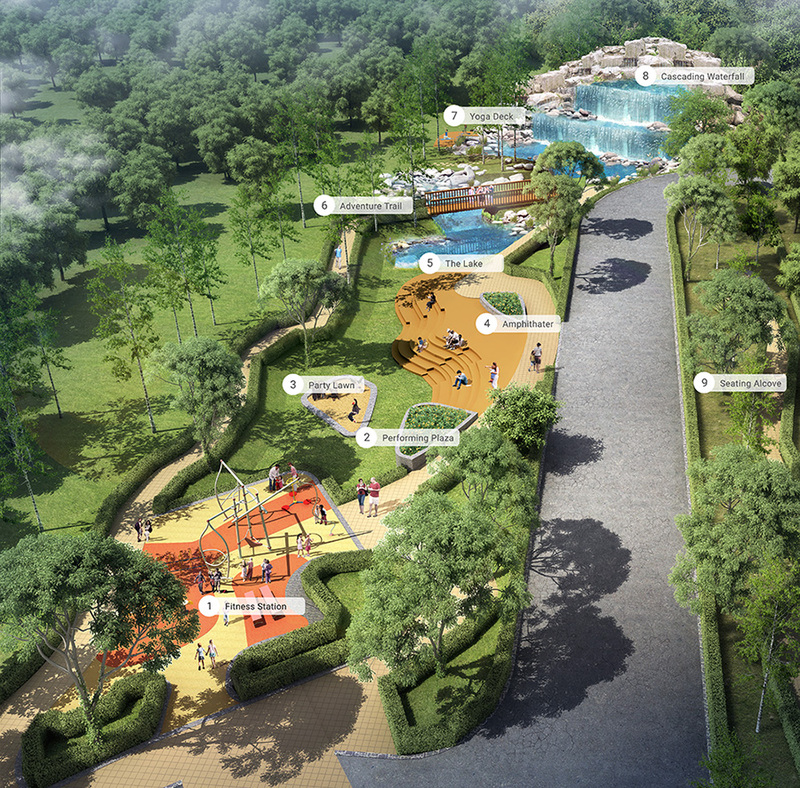 The Rainforest garden is located conveniently within the building.  Whether your idea of healthy living comes in the form of getting active and working up a sweat or taking time off from work to relax and relieve stress passively, the Secoya has the space for residents to do it all. 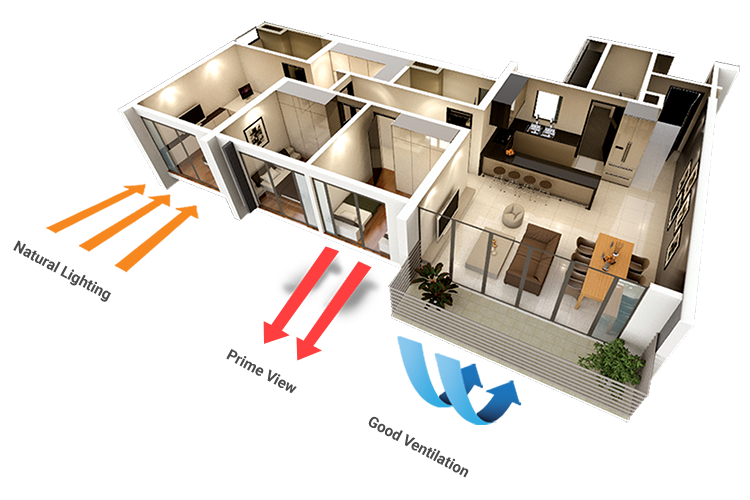 Enhanced Environmental Friendly Living Designs are instilled in each unit. With shallow floor plates to maximise the penetration of natural lighting to promoting energy efficiency and savings. With large windows to look from, it ensures effective ventilation and circulation within the residence for better health and sustainable living closely to Mother Nature. 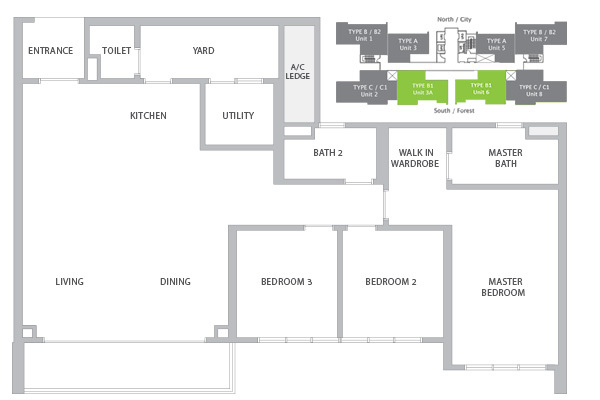 Units are specifically designed to suit the needs of residences. 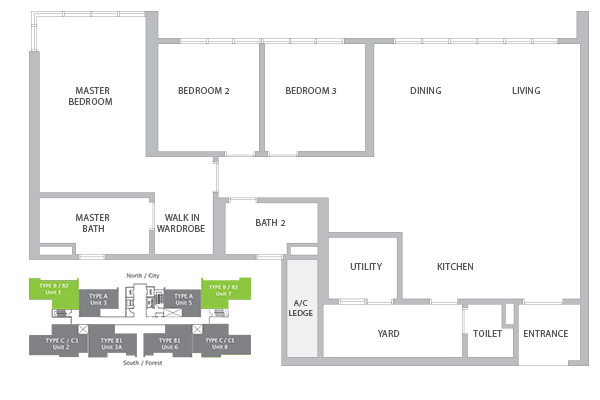 There are up to 4 types of units at Secoya Residences. Click the unit types below to find out the specific details of each unit type. If you wish to be notified about the latest updates and happenings please fill in the form below so we can keep in contact with you.